64 Billion Revolutions is a sculptural and temporal response to the 2008 Irish bank guarantee and subsequent bailout of the banking sector. Years of unsustainable property development fuelled by negligent lending practices and a global financial downturn plunged Ireland into a grave economic crisis in 2008. A severe programme of fiscal austerity followed, forcing tens of thousands into unemployment, poverty and emigration. Anglo Irish Bank’s fraudulent practices exacerbated the extent of the crisis. This work takes the skeletal remains of the defunct Anglo Irish Bank HQ in Dublin as its subject and renders it as a keyring - a ironic souvenir of the crisis. The title refers to the total cost of the bank bailout and the number of full revolutions of the carousel to match it; an impossible figure to observe. 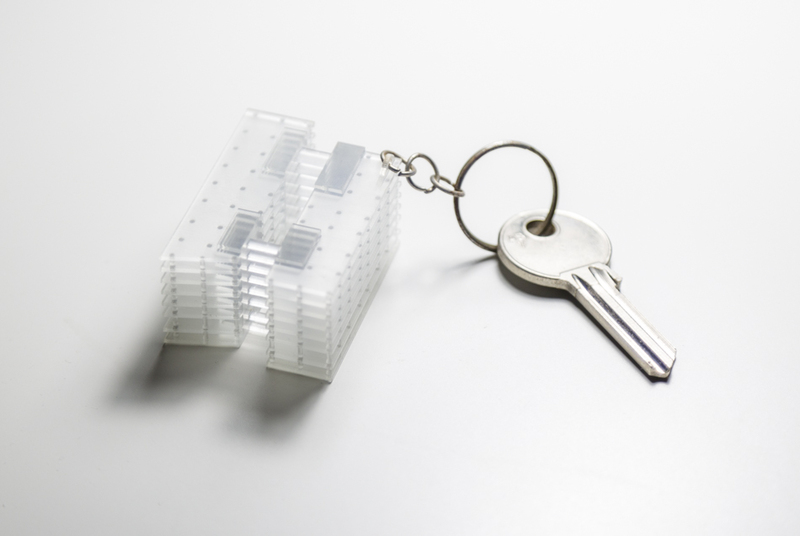 A physical version of the keyring entitled 'Skeleton Key' accompanies this work.